Remember those questions everyone asked us all the time when we were kids? “What will you be when you grow up?” It was fun back then. We’d easily reply with – “A teacher. A pilot. A doctor”. Every one of us dreamed those big dreams and more often than not, we enjoyed writing about them in our diaries. Many years later, we’d find those same diaries among our old toys in the attic. We’d go back to re-reading these same lines again, proud to have achieved all we have ever wished for. Our distant and unattainable dreams have become our realities. Unfortunately, some children don’t even dare to dream big. Why? Because they often lack opportunities to discover their passion, show their talents and to reach their full potential. Their diaries are probably full of dreams that will never come true. When you come across the news that not all children in Serbia have equal access to preschool education, that many kindergartens and schools need urgent reconstruction and equipping, that some kids are prevented to flourish and progress academically, you are either overwhelmed by sadness and compassion and feel there’s nothing you can do to change this for the better or you can get involved and try to make a difference. This year in September, I became part of the incredible NDF team, gained my first volunteering experience at the Friendship Games and joined the team of people who always choose the second option. 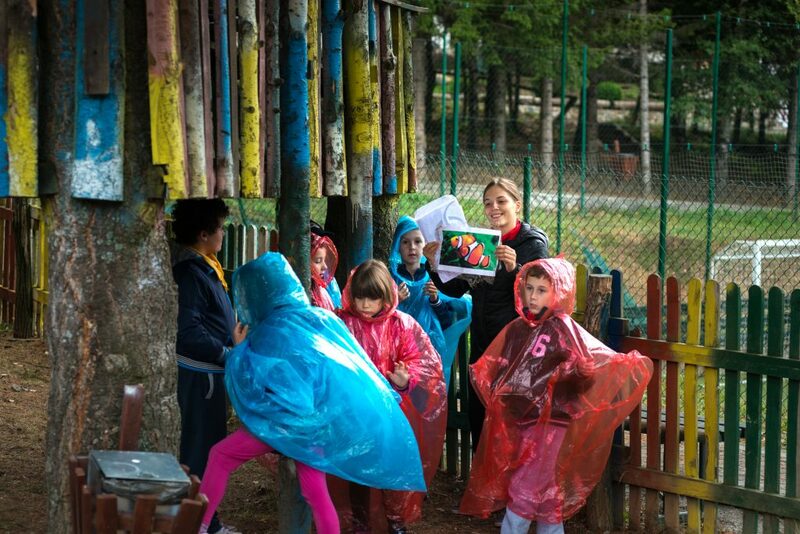 Six days at the Friendship Games camp in Kopaonik really did make a positive and tangible difference in the life of over 150 boys and girls, first to fourth graders, from primary schools in Serbia. The event gave them new hope, inspired them to dream, helped them make new friends, created new possibilities, opened them up to new experiences, and brought lots of smiles and sweet, soft colors of childhood to remain in their memories forever. The Friendship Games, hosted for the fifth time by the Novak Djokovic Foundation, so far welcomed hundreds of children from economically disadvantaged communities in Serbia. 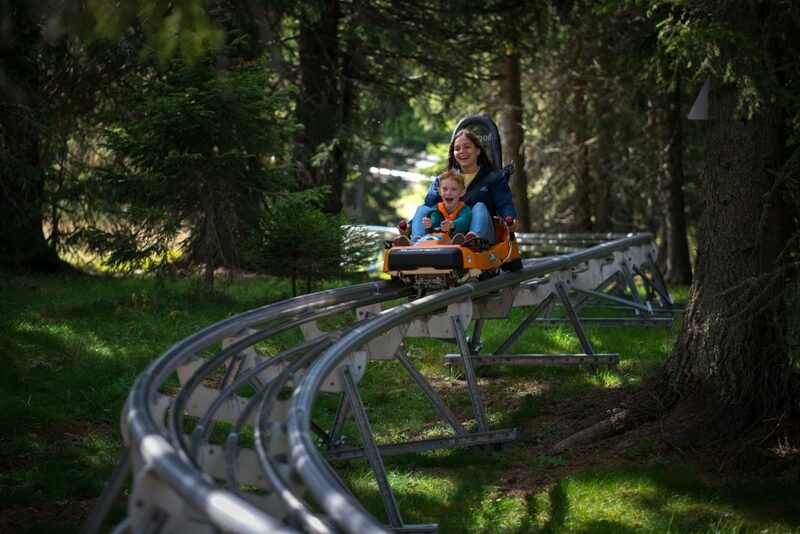 Every year they have the opportunity to participate in various educational and entertaining camp activities, connect with the natural environment, master valuable life skills, make new friends, have fun, show their creative side, learn together and from each other, and discover new interests and talents. The Games also promote the right values, like fair play, understanding, acceptance of diversity, healthy nutrition, the importance of teamwork and environmental awareness. The chance to actively support this important project and do something great for kids at first made me happy and frightened at the same time. I started to question my abilities and whether I can fulfill volunteer’s duties. Uncertain of what to expect, I’ve busied myself preparing for this important responsibility ahead of time. I tried to recall all the information I had about the camp, memorize all the children’s names and places where they come from – often too small to sound familiar to me. I went through the list of activities we’d do at the camp million times over, wondering whether the kids would like these adventures and workshops; if they would be able to follow the instructions and finish the tasks at hand. Many of them have never experienced anything similar. However, from the moment they arrived at the camp, each day was filled with their curiosity, mind-blowing energy, and humor. Together, they were fearlessly walking into the unknown but with so much joy on their little faces. They easily navigated through difficulties and were completely absorbed in the camp activities. Their eyes would lit up with joy when their team won the “animal and ecosystem” quiz. They were interested to learn about recycling and the importance of solar energy for our environment. They were exhausted, cheeks red from the cold wind, and yet they held the rope tightly, patiently waiting for the kite to lift high into the sky. They would run incredibly fast, leaving their teachers and other adults in the dust. At the camp, a boy unusually tall for his age, much taller than his classmates, won my attention. He demonstrated the magic of play on the court on the sports day and I could vividly imagine him becoming a great basketball player in the future. But it was not just the sports that he was good at. He was even more brilliant during the science and technology workshops, quick to provide answers to complicated questions and solve mysteries only a few of us were able to understand. He was fascinated with the universe, physics and science experiments. No doubt he could also be a famous scientist or astronaut one day. I wondered how many more talents were still hidden inside him. Another boy I met, had fear of heights. Despite his fear, he eventually climbed the fake rock and finished a tough race in the Adventure Park backed by his friends’ encouragement. Then, there was an eight-year-old girl who mastered her swimming skills at the camp and a boy who made his first video game within our IT workshop. I couldn’t have been more proud of their achievements and victories. I was equally enthusiastic as all these kids, listening carefully to nice ladies who ran the Red Cross workshop. They instructed us how to clean the wounds, treat injuries, help people in a first aid emergency and how to stay safe in the sun. At one point, I almost teared up and had to struggle really hard to act naturally when I received shiny snowflake and a colorful bracelet as a present from the kids. “We made them just for you in the creative workshop”, tiny voices were saying. On the other hand, actors who came to the camp to perform were also taken aback by so many smart and witty questions kids asked them after their play. I frequently checked the kids at bedtime to make sure they’re ok. Doors of their rooms were open and I could hear them talking with new friends about their last adventure. In the hall there was a boy, holding a phone in his hand. He dialed the number, eager to tell his parents everything that happened to him that day. “Mom, I had the best time ever! ” was all that mattered. I promised myself that I will forever treasure the moments I spent together with kids, hoping they won’t forget me either. The last day came and we organized the masquerade party for the kids. I can’t even begin to describe how excited they were to dress up as fairies, clowns, pirates, or Pippi Longstockings. I looked at them, their faces flushed with hapinness and that night, my only wish was that some of these little heroes would write about their big dreams in a diary before they fall asleep. Before they return to the real world. So their dreams keep on living and so they don’t forget any part of these wonderful 7 days we’ve spent together. When the Friendship Games ended, many people asked me why I said yes to volunteering. What did I get from charity work? Volunteering at the Friendship Games was a unique experience for me. I was truly privileged to contribute towards creating some of the most memorable moments in these children’s lives, to widen their horizons and make them happy. If I helped at least one child to learn something new, to find out what he was good at or if I just made him smile a bit, then there was nothing more I could ask of this experience. I was also grateful for the opportunity to meet well-rounded young people – my fellow volunteers, and to share with them the same enthusiasm, ideals, big-heartedness, positive mindset and belief that even our small act of kindness can produce greater good for others in need. If we provide children with proper support and guidance, we will empower them to do anything they want in life. The Friendship Games are more than just an annual retreat for the less fortunate children. The Games helped some of them discover their passion for science, others were able to show their talent for programming and many boys and girls started to dream of becoming doctors, sport and film stars or artists. When governments and policymakers worldwide are at the forefront of seeking solutions to global problems, I think of my Friendship Games experience. Mahatma Gandhi once said: “Be the change you wish to see in the world“. That’s exactly what I wish to do. What I wish that all of us do. For the sake of children and their better future.